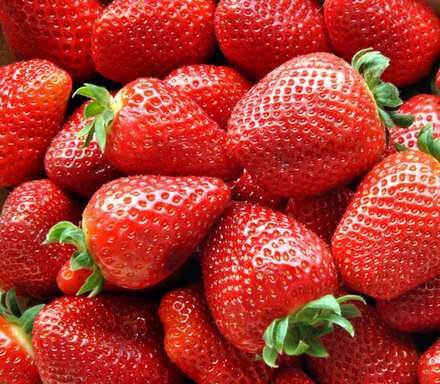 Although the fruiting season for strawberries is over, September is an important time in the strawberry calendar. Early autumn is the traditional time to plant new plants that have been raised from runners earlier in the summer. The advantage of planting now is that the young plants will be able to make a good root system over the autumn while the soil is still warm. This results in much stronger plants next spring that will get off to a good start and produce plenty of fruit. Strawberry plants are very adaptable, but regardless of whether you are planting out in the open ground or growing in containers, the sooner you can get them planted and established, the better. either simple pots or special strawberry pots that have side planting holes. Because the plants are going to be in the container for two or maybe three seasons, use a good compost. I like to mix multipurpose compost and John limes compost half and half, which gives a good structured compost with good water and nutrient holding capacity. Hanging baskets can also be used and this is a great way to grow them as it protects the fruits from slugs and snails! Simple plastic pots are ideal, or you could use a more decorative basket. In a 25-30cm (10-12in) basket you need three plants which will fill out and produce fruits that hang over the sides of the basket. Again, use a good compost mix to keep the plants healthy and growing. Planting in rows or on a grid system in the garden is the traditional method of growing and it works well if you have room. Choose a sunny position and prepare the ground by working in well-rotted organic matter to improve the soil. Planting distances vary, depending on space available, but ideally the minimum spacing should be 30cm (12in) or slightly wider if possible.